The Phillies’ big free agency dreams hinge on Bryce Harper, but they have other targets in their sights. 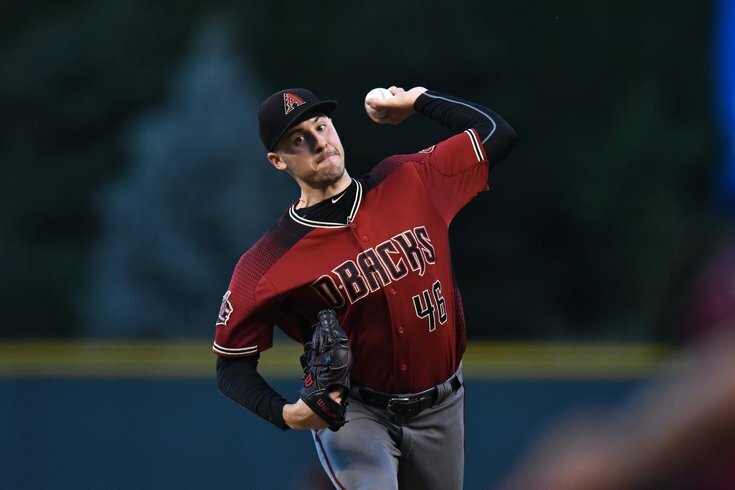 One such name is starting left-handed pitcher Patrick Corbin, who was in town and visited Citizens Bank Park on Tuesday. that's it. doesn't mean he'll sign, but I have no issue passing these facts along so we can all lose our collective minds. Does that indicate a pending signing? Does it just mean his girlfriend wanted to see the home of the current Super Bowl champions up close? "The Phillies, operating in the sweet spot of burgeoning local TV money and few existing contractual commitments, are expected to be a major player for Machado or Harper and the top starting pitcher in free agency, Patrick Corbin. An unnamed National League executive told The Athletic‘s Zach Buchanan in September that he would be 'shocked' if Corbin didn’t receive a contract in excess of $100 million this offseason." Corbin, 29, has pitched for the Diamondbacks since 2012, his first year in the majors. He went 11-7 in 2018 across 33 starts, piling up a 3.15 ERA, throwing 246 strikeouts, and making his second career All-Star team. He finished fifth in the AL Cy Young voting.